After launching a teaser trailer yesterday of the newest edition of Angry Birds Seasons, publisher Rovio officially released the game update for iPhone, iPod Touch, iPad, and Android users. 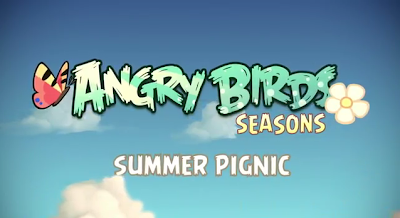 Themed for summer, the Angry Birds Seasons: Summer Pignic is tougher to play as gamers will only have one bird on each level to knock out the pigs. And like the Christmas edition, with Summer Pignic, you can only play additional levels every day for a month. Though it may sounds lame for those who want to unlock all levels right of the bat, the point is – Rovio wanted the game to be enjoyed that way. Angry Birds Seasons: Summer Pignic is now available for download at iTunes App Store and Android Market. Rovio also says the update will be out for webOS and Symbian devices. You may check out the trailer after the break. To receive latest technology updates, you can subscribe either by E-mail or by RSS Feeds. Follow me also on Twitter. Samsung Galaxy Tab in Philippines Coming to Smart, Pre-order Now!